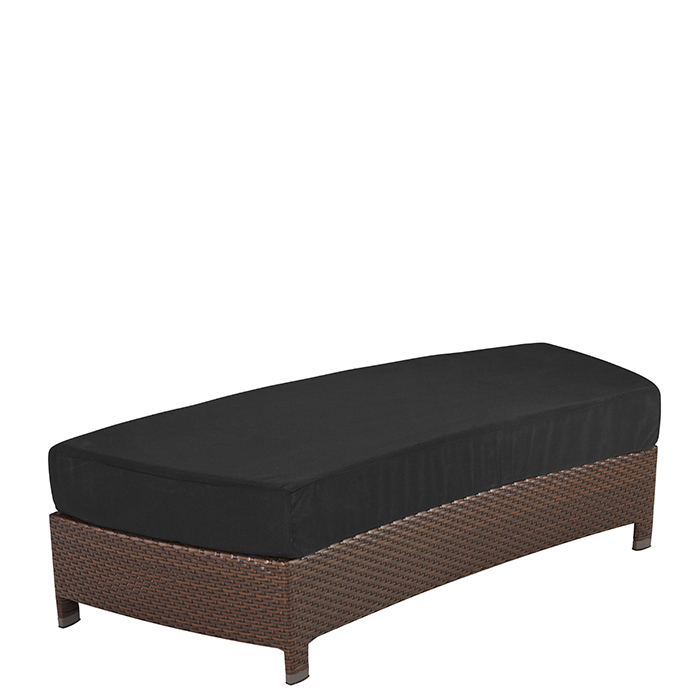 Vela Woven Lounger Ottoman allows you to kick your feet up and relax with this well-crafted outdoor ottoman. It features the Strand Synthetic Weave wrapped around an aluminum frame for complete durability and style. The Strand Weave is weather-resistant and available in three colors.